Jeroka are Jerry and Kay, and we are based in Somerset. We have played together for many years and with many other talented musicians. Rose, who started the band off a few years ago, has now 'emigrated' to the Lake District. 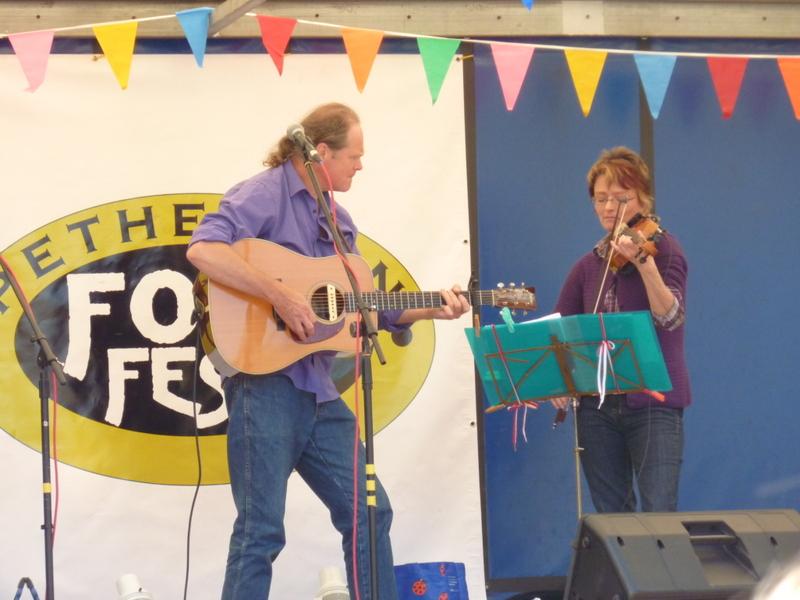 Jerry and Kay are lucky enough to have some fine musicians to call on when the event needs a third instrumentalist. We play a wide variety of traditional music for dancing and listening, including English, Irish, Scottish, American Ragtime, Old Time and Contra with a lively and often jazzy feel. Available with, or without, a caller for Ceilidhs, Barndances, Weddings and Anniversaries, Parties, Fundraisers, Festivals, and events of all descriptions. When dancing is required we will select the best caller for your event.